Fulcrum Biometrics, San Antonio, is reselling the FIPS 201-certified fingerprint scanner from South Korea-based Nitgen Co Ltd. 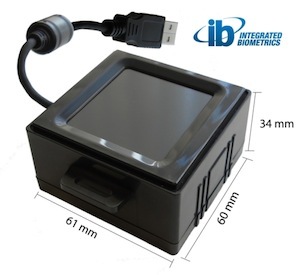 The Nitgen eNBioScan-F scanner offers a 1.2 inch fingerprint input screen to acquire fingerprint information. The scanner is available with a USB 2.0 connection and drivers for Microsoft Windows operating systems. The scanner can be ordered online from Fulcrum for $420.